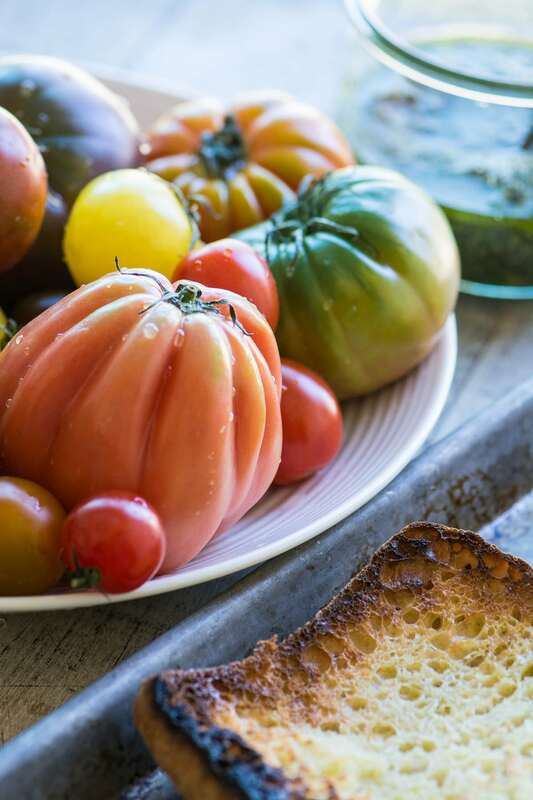 Heirloom Tomato Toast ~ the simple pleasure of great tomatoes paired with great bread is known to tomato lovers everywhere. 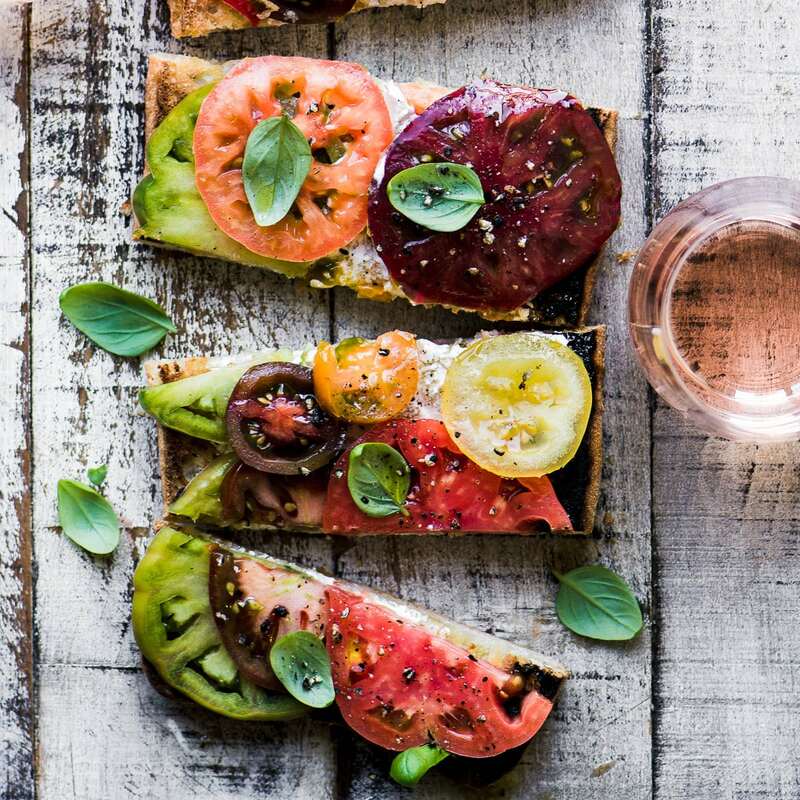 When you’ve got tomato toast, no matter what else is going on around you…life is good. 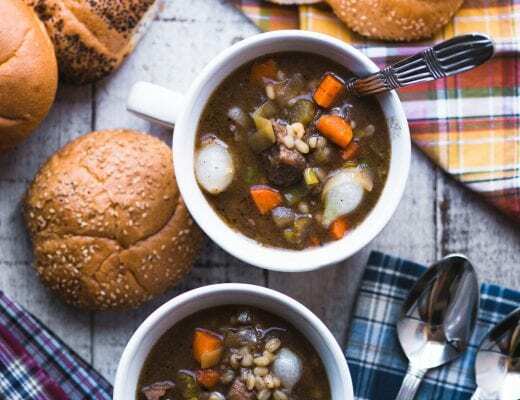 This is a wonderfully simple way to feed yourself, no recipe required. In fact, if you’re staring at the recipe you’re kind of missing the point. Tomatoes. Toast. The name says it all. 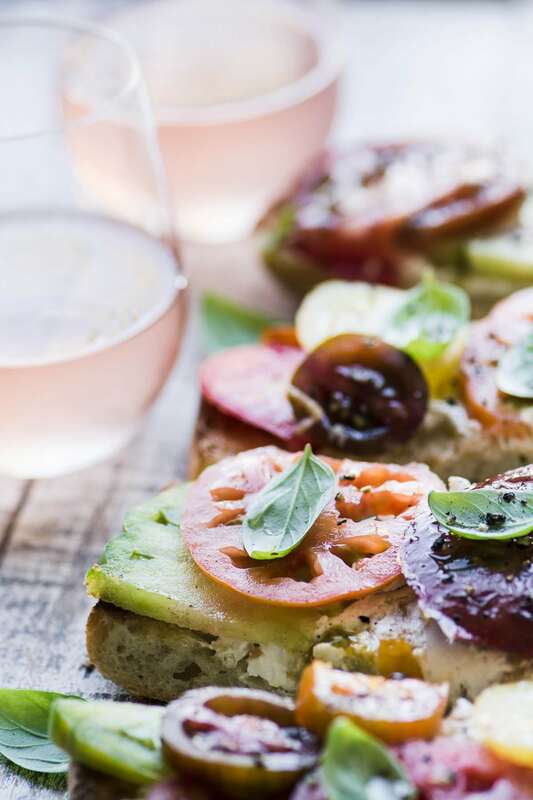 And sure you can layer on some creamy goat cheese or fresh made pesto first, but even that’s not necessary, the juices from those tomatoes will drip down into the crunchy bread and provide all the flavor you need. Of course it all starts with impeccable ingredients. Choose a rustic loaf from your favorite bakery or the bakery section of your supermarket. The tomatoes should be ripe and juicy. 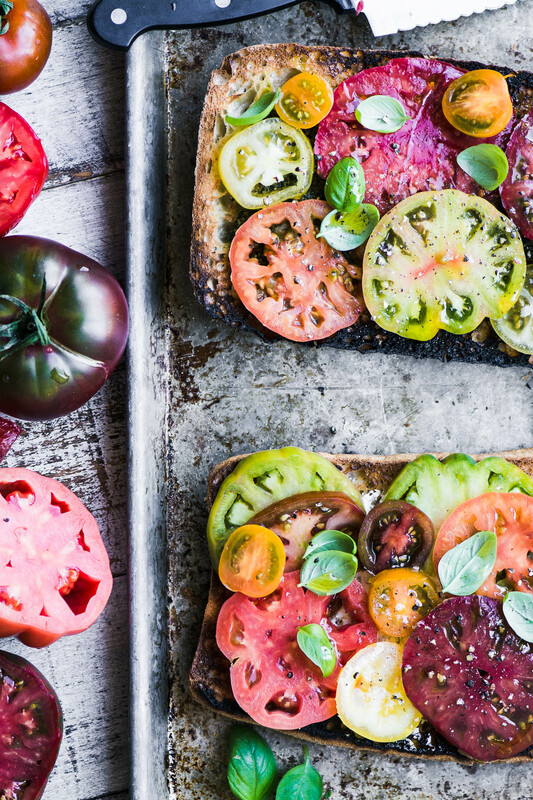 You can use regular red tomatoes for your toast, but this is a perfect way to showcase colorful heirlooms. The more different shades the merrier! Brush the bread with olive oil, and toast it lightly. I do this under the broiler, but you can use a charcoal grill, or a grill pan on the stove. Then rub it down with the cut side of a head of garlic. 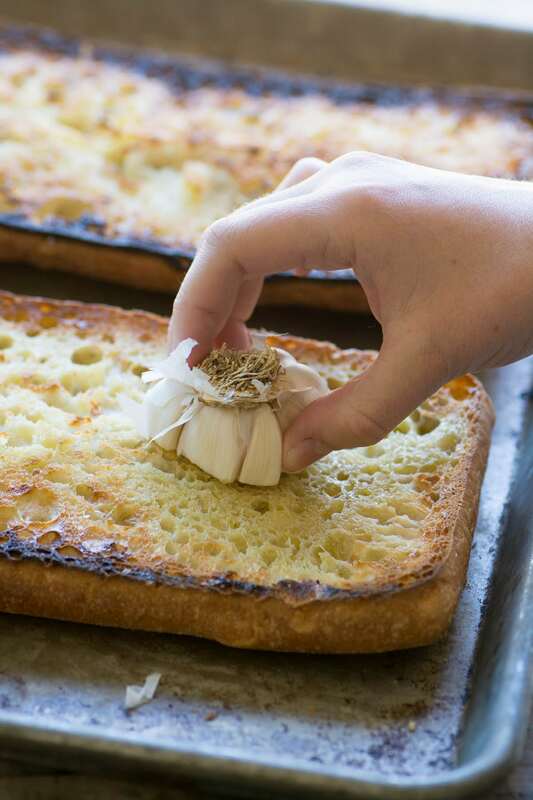 The warm toasted bread absorbs just the right amount of garlic flavor and that really adds a lot to this toast, so don’t skip this step. I just slice a whole head in half crosswise for easy rubbing. 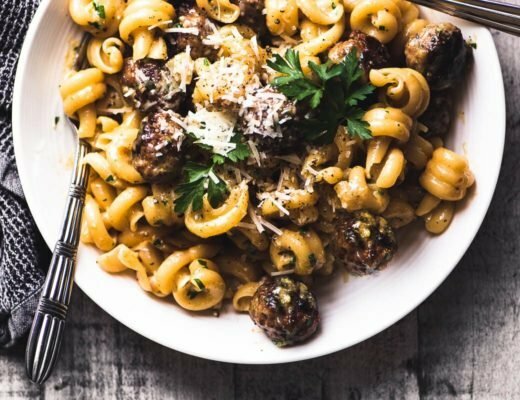 I like to slather the bread with a thin layer of pesto, goat cheese, or creamy ricotta, it just adds another layer of flavor and makes the light meal more satisfying. 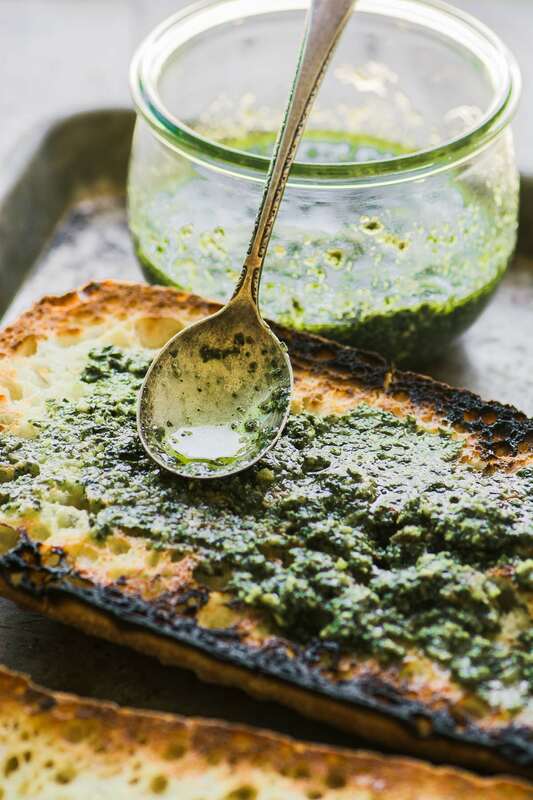 You could even spread your bread with a zesty chimichurri sauce. I did one half with goat cheese and the other with pesto. Layer on your tomatoes, overlapping them a little bit. Drizzle with great olive oil, and season with a little salt and pepper. If you like you could shave some Parmesan cheese over the top. It’s essential that you use fresh bread. Artisan bread goes stale very quickly, so I like to use it the same day I buy it. Look for a wide, flat shape loaf so that you’ll have enough real estate to arrange your tomatoes. 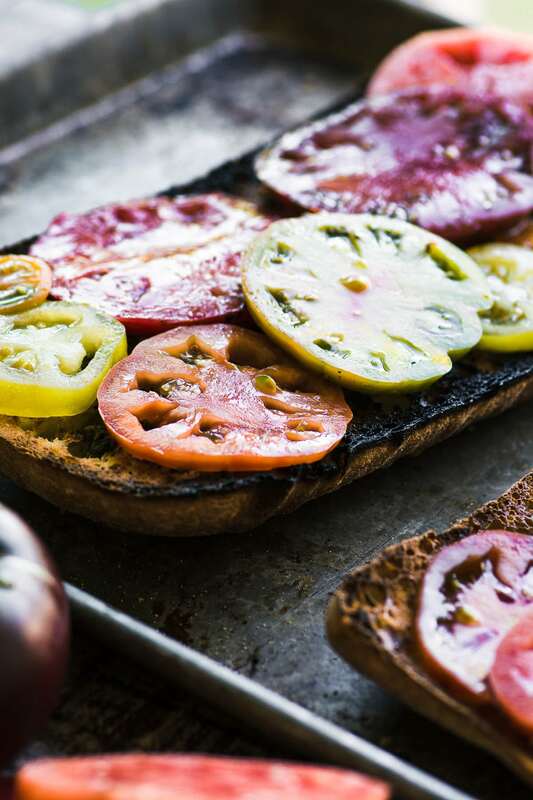 You can grill or toast the bread ahead of time, but slice the tomatoes just before you are ready to eat, they start to deteriorate quickly once they’ve been cut. 1 loaf of wide, flat rustic bread, such as ciabatta or batard. Slice the bread in half through the center, to make two large pieces. 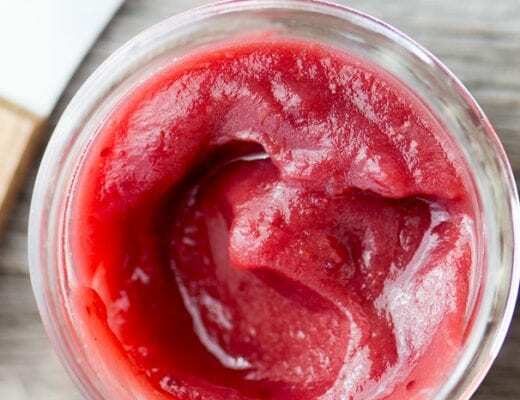 Use a sharp serrated knife and slice as evenly as you can. Set the two halves on a baking sheet, cut side up. Brush both cut sides generously with olive oil, and broil for several minutes until toasted. You can do this on a charcoal grill or in a grill pan on the stove top if you like. Spread each half of bread with your spread of choice. Then arrange the tomatoes, slightly overlapping, over the top. Season with salt and fresh cracked black pepper, and a light drizzle of olive oil. I sprinkle some small basil leaves as a garnish. Slice the bread into 2 inch slices to serve. 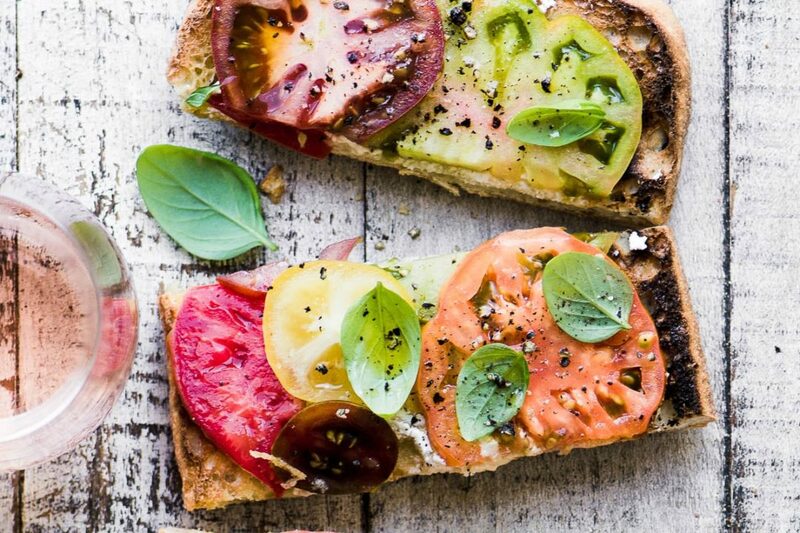 I could live on this toast all summer, what gorgeous heirlooms! 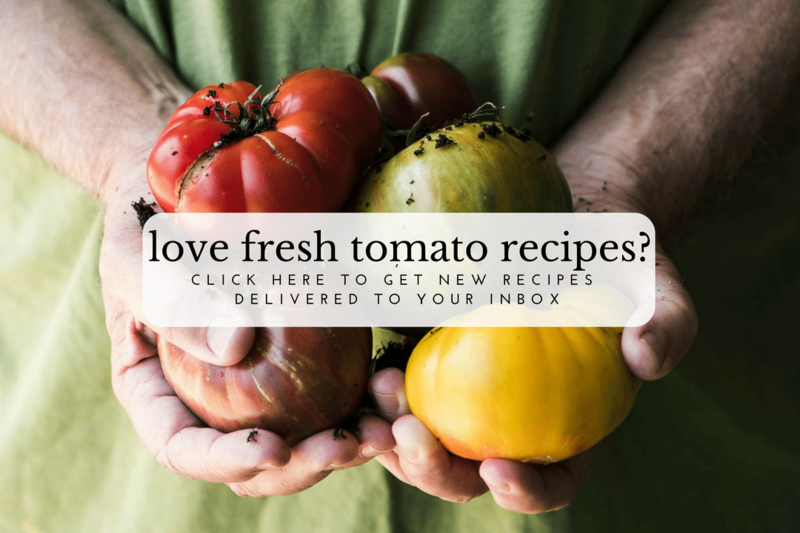 Incredibly beautiful tomatoes – I wish I had some like this! And that toast – what a great treat with all that flavor and freshness. Beautiful photos Sue! Yes, please! This would be a perfect summer breakfast, lunch or dinner for me! So pretty! 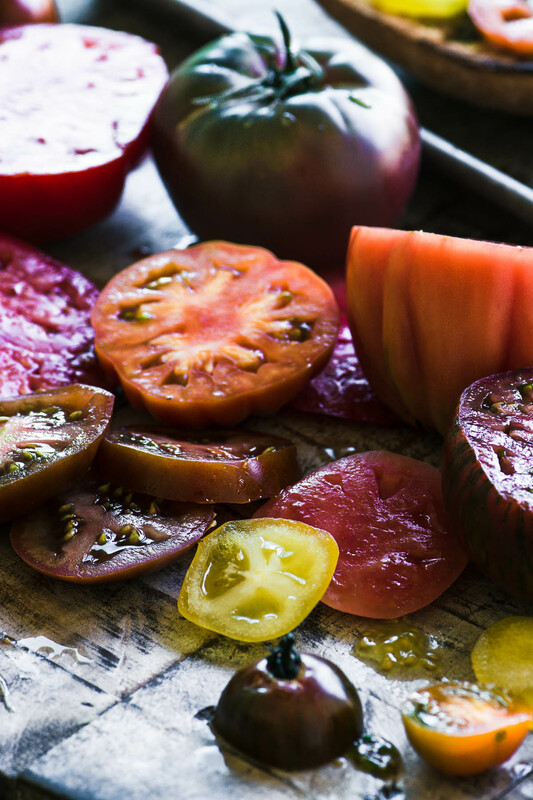 Heirloom tomatoes are my absolute favourite in summer time. The toast looks droolworthy, Sue.